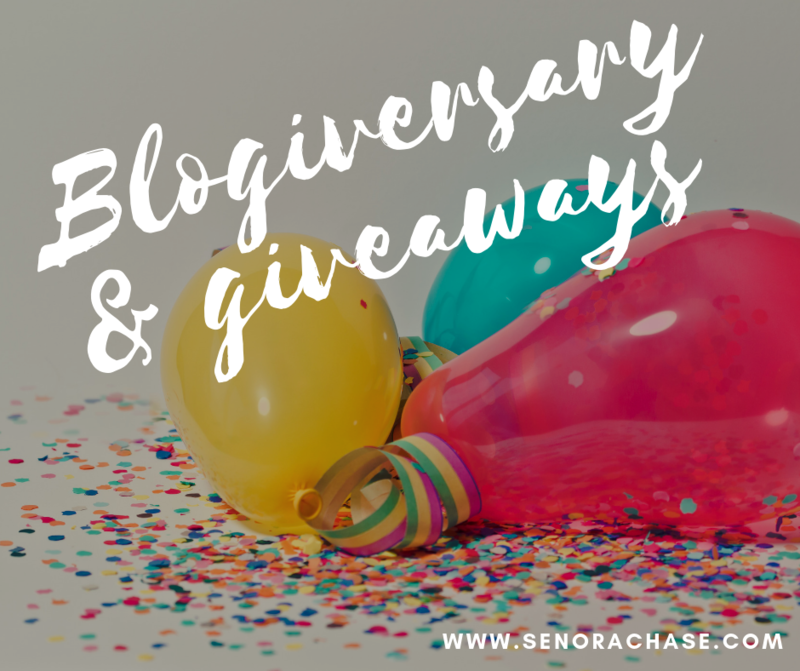 www.senorachase.com turns 1 and there are presents! This little blogcito turns 1 on Friday and what’s a party without presents?! But first, just a sappy moment of reflection: Holy cow, guys! When I started writing, I just wanted to write out a few ideas… I had no idea (or expectation, really) that people would actually read them! And comment! And email me! And recognize me in public bathrooms! (true story- happened twice.) It never crossed my mind that people would subscribe (334 of you, in fact!) and read my musings from all over the globe! I didn’t think this little piece of the internet would open opportunities like CLIC Webinar and Comprehensible Online. Crazy! You know what is even crazier? Something I never even imagined? It’s you generous people, translating my work into French, Italian, German, Latin, Japanese and Mandarin! I can’t even tell you how much that delights me! From the bottom of my heart: Merci. Grazie. Danke. Gratis tibi. ありがとうございました and 谢谢. And perhaps the most surprising of all? Not a single troll…no mean comments or emails or messages (knock on wood!). Just teachers encouraging and sharing and learning and working to be the best CI teachers we can be! So, again, Muchísimas gracias! You’ve also bought cool stuff from my Amazon Links and I made a few Amazon Dollars this past year. So, dear readers, I want to share it with you! I’ve got 3 presents I want to give you, things that I use and love in my class room that I hope you’ll use and love too. All you have to do is comment below with “hello” written in the language you teach and where you’re reading this from (State, city, country…up to you!) That’s it! I’ll randomly draw 3 names, I’ll contact the winners for their mailing addresses and the Amazon Fairies will take care of the rest! And so…. drum roll please….. Colored chips for awarding points during a game. Magnetic whiteboard spinners for making important decisions. Go on now…comment in your target language! I’ll randomly select 3 names on Monday, January 14 at 3:00 Pacific Time! Check back to see the winners! And the winners are….WendyS, Melisa from Michigan and Emily S! Thanks for playing!! And I’ll just send out another plug… Want to join me at Comprehensible Online? Use code AnneMarie19 to save $25! Bonjour! Thank you for all that you do! My city WL Supervisor loves your quick quiz grading rubric. We are looking at a city-wide discussion… or at least an in-school one for starters. Do you mean the ABC for listening and reading quiz. I love that, too. Thank you, SenoraChase. Hola de la isla de Jamestown, RI! Hallo and Hola from Virginia, MN! ¡Hola! Saludos y muchas gracias de Vermont. Hola! I think I check your blog everyday to see if there is a new post, and it’s so exciting when there is one! Writing from Edinboro, PA! ¡Hola from KY! Thanks so much for all the great ideas! ¡Hola! Thanks so much for all your great ideas. Hola, ¡me encanta tu blog! Hola y felicidades en su aniversario. Me encanta leer su blog e implementar sus ideas en mi clase. ¡Gracias! ¡Hola! ¡Feliz cumple a tu blog y gracias por todo lo que compartes con nosotros! Hola! Soy de Massachusetts. I used your code for Comprehensible Online. Gracias!! Bonjour de Ankeny, Iowa. J’aime bien lire ta blogue, c’est très utile dans mes cours de français! ¡Hola – estoy en Nueva York! ¡Gracias por todo lo que haces para la profesión! ¡¡Hola!! Gracias por compartir con nosotros y felicidades con el blog. Saludos de Oregon. ¡Hola! Estoy en Grand Island, NY. ¡Hola¡ desde el estado de Washington. Bonjour de Mill Creek, WA – près de Seattle. Je suis ravie de trouver ton blogue super ! Merci pour la générosité ! ¡Hola a todos! Salut à tous! 🙂 Muchísimas gracias a ti, AnnMarie, por tu generosidad.